This kit measures total (NH3 and NH4+) and free ammonia (NH3 only) down to less than 0.05 mg/L and is virtually interference free in marine and fresh water. 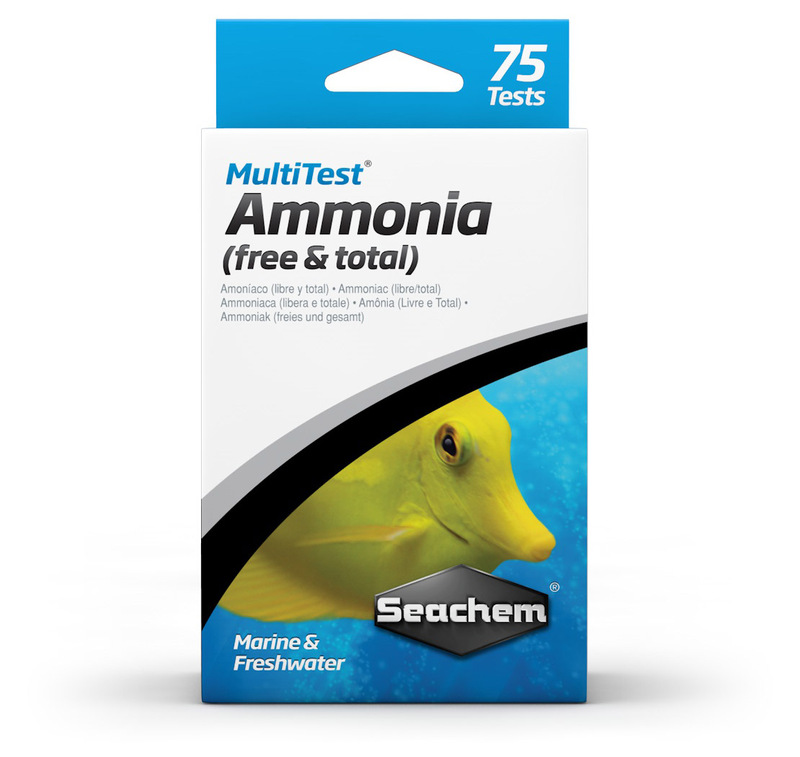 Free ammonia is the toxic form of ammonia (vs. ionized Ammonia NH4+ which is non-toxic) and thus it is much more important to keep an eye on the level of free ammonia in your system. This kit may be used with freshwater or marine water. 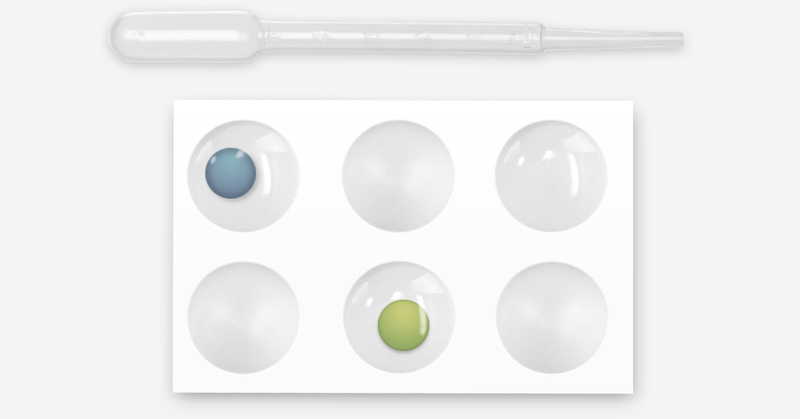 Unlike other kits on the market, the chemical basis for this test assures that interference from other substances is highly unlikely. 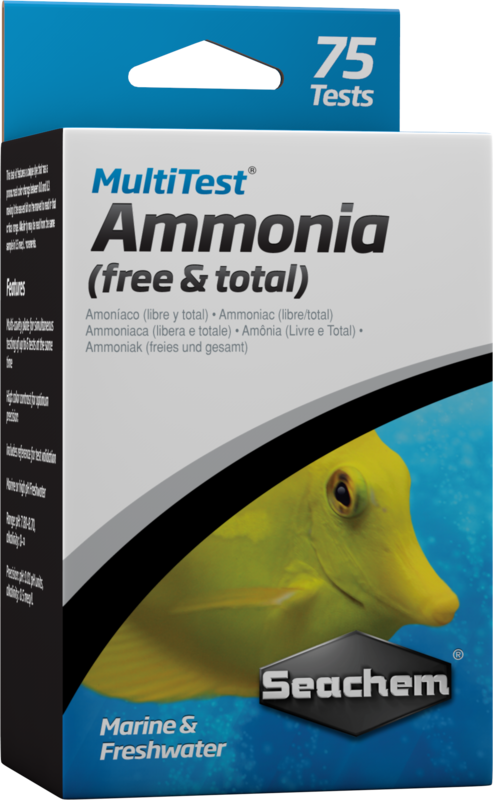 MultiTest™ Ammonia performs over 75 tests and contains a reference sample for validation. This kit is based on the same gas exchange technology that is used in the Ammonia Alert® and thus is the only kit on the market that can read levels of free ammonia while using ammonia removal products such as Prime®, Safe™, AmGuard™ and any similar competing products. Other kits (salicylate or Nessler based) determine the total ammonia by raising the pH of the test solution to 12 or greater. At this high pH all ammonia removal products will breakdown and rerelease the ammonia, thus giving you a false ammonia reading. It isn't necessary to run a reference test to use this kit; however, its proper performance can be validated by running a test in the normal manner except that the reference sample is used in place of aquarium sample. You might choose to run a reference test if you have cause to believe the test is giving incorrect results. KEEP AWAY FROM CHILDREN! The Total Ammonia Reagent of this kit contains strong alkali and the sensor storage/regeneration gel contains a strong acid. Either may be hazardous if used carelessly. If accidental spillage or contact occurs, wash exposed area thoroughly with water. If eye entry occurs, rinse eyes immediately with water for 10 minutes and then seek medical attention.